The New Oxford Shakespeare is a landmark print and online project, which for the first time provides fully edited and annotated texts of all extant versions of all Shakespeare's works, including collaborations, revisions, and adaptations. Based on a fresh examination of the surviving original documents, it draws upon the latest interdisciplinary scholarship, supplemented by new research undertaken by a diverse international team. Although closely connected and systematically cross-referenced, each part can be used independently of the others. 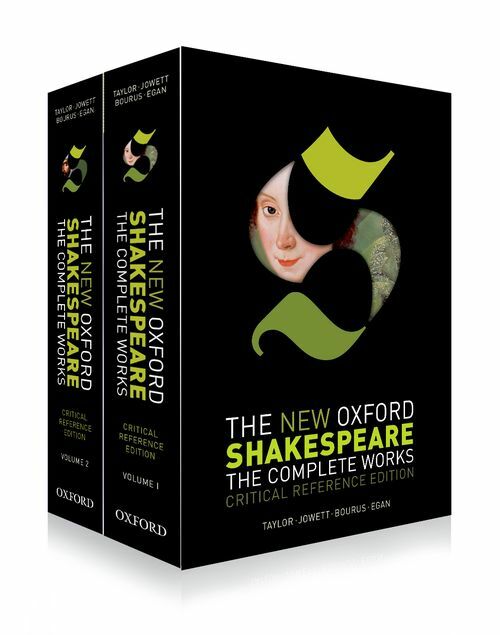 The New Oxford Shakespeare: The Complete Works: Critical Reference Edition collects the same versions of the same works found in the Modern Critical Edition, keyed to the same line-numbering. But the Critical Reference Edition emphasizes book history and the documentary origins of each text. It preserves the spelling, punctuation, capitalization, abbreviations, typographical contrasts, ambiguities, and inconsistencies of the early documents. Introductions focus on early modern manuscript and print culture, setting each text within the material circumstances of its production, transmission, and early reception. The works are arranged in the chronological order of the surviving texts: the first volume covers documents manufactured in Shakespeare's lifetime, and the second covers documents made between 1622 and 1728. The illustrated general introduction presents an overview of the texts available to editors and describes how they define Shakespeare. An essay on error surveys kinds of error characteristic of these early text technologies. It is followed by a general introduction to the music of Shakespeare's plays. Introductions to individual works and an extensive foot-of-the-page textual apparatus record and discuss editorial corrections of scribal and printing errors in the early documents; marginal notes record press variants and key variants in different documents. Original music notation is provided for the songs (where available). Because the plays were written and copied within the framework of theatrical requirements, casting charts identify the length and type of each role, discuss potential doubling possibilities, and note essential props.